Objective To explore undergraduate medical students’ attitudes towards and opinions about leadership and management education. Design Between 2009 and 2012 we conducted a qualitative study comprising five focus group discussions, each devoted to one of the five domains in the Medical Leadership Competency Framework, (Personal Qualities, Working with Others, Managing Services, Improving Services and Setting Direction). Each discussion examined what should be learnt, when should learning occur, what methods should be used, how should learning be assessed, what are the barriers to such education. Participants 28 students from all three clinical years (4–6) of whom 10 were women. 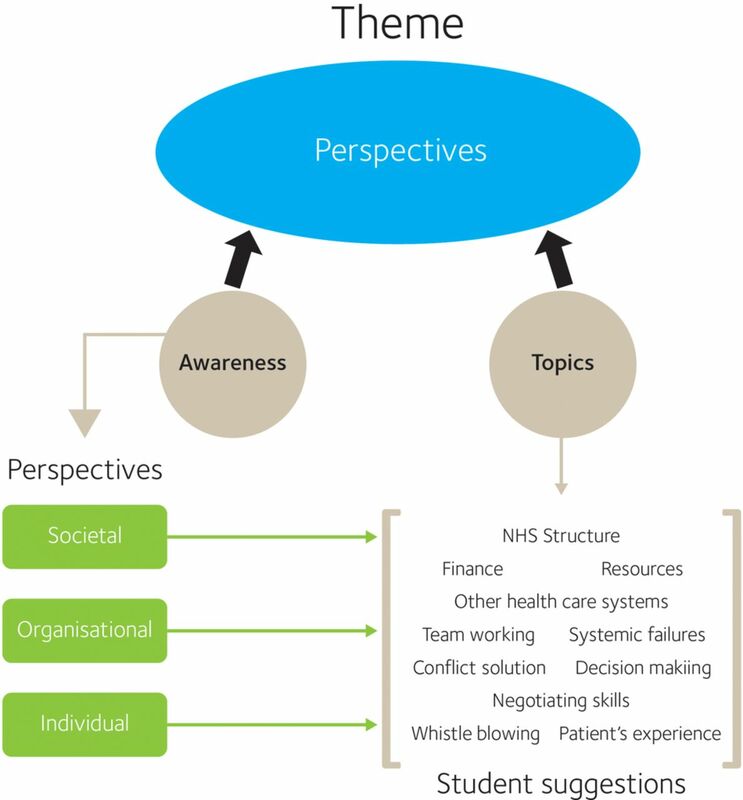 Results 2 inter-related themes emerged: understanding the broad perspective of patients and other stakeholders involved in healthcare provision and the need to make leadership and management education relevant in the clinical context. Topics suggested by students included structure of the National Health Service (NHS), team working skills, decision-making and negotiating skills. Patient safety was seen as particularly important. Students preferred experiential learning, with placements seen as providing teaching opportunities. Structured observation, reflection, critical appraisal and analysis of mistakes at all levels were mentioned as existing opportunities for integrating leadership and management education. Students’ views about assessment and timing of such education were mixed. Student feedback figured prominently as a method of delivery and a means of assessment, while attitudes of medical professionals, students and of society in general were seen as barriers. Conclusions Medical students may be more open to leadership and management education than thought hitherto. These findings offer insights into how students view possible developments in leadership and management education and stress the importance of developing broad perspectives and clinical relevance in this context. Focus groups permitted students to direct the flow and content of the discussion, enabling them to delve deeper into their views about leadership and management education. The trustworthiness of the data was enhanced by the use of multiple coders. The research team is not aware of any other qualitative study addressing this topic with the UK undergraduate medical students. It was conducted in one UK medical school. Although drawn from all three clinical years the number of participating students was small and inevitably self-selecting. What leadership and management content should be addressed? At what point in the undergraduate curriculum should the teaching and learning occur? What are the barriers to such education? The standard medical course in Cambridge comprises three core science years, with a small element of clinical experience, followed by three clinical years, each comprising approximately 140 students. Between 2009 and 2012 clinical students from each of the years 4–6 were invited by email to participate in the study. Two reminders were issued 2 weeks apart and those willing to participate were contacted. Five focus group discussions were held, one relating to each dimension of the MLCF (figure 1). The Medical Leadership Competency Framework (NHS (National Health Service) Institute for Innovation and Improvement). Participants received an outline of the MLCF's competencies for medical students for the dimension under consideration together with a topic guide.19 This information was briefly repeated at the outset of the discussions. Written consent to participate was requested in the initial email and again, at the outset of each discussion. Discussions lasted between 90 and 120 min and, with participants’ permission, were recorded and transcribed verbatim. Transcribed data were anonymised and entered into NVivo V.9 software (QSR International Pty Ltd, Melbourne, Australia). In total 28 clinical students took part (10 women). The nature of participants and schedule of discussions are given in table 1. All year 6 participants had received formal instruction in leadership and management comprising a 1-day course, midway in their final year. Using the ‘Setting Direction’ discussion TQ and SM independently derived coding frameworks. Subsequent discussions generated a common framework which TQ extended to the other transcripts. JB and FC independently considered the appropriateness of the resulting framework to all dimensions and adjustments were made. TQ, JB and FC independently applied the agreed framework to a selection of transcribed data. A high level of agreement of code application was found (>90%). Following discussion between TQ, JB and FC an overall coding framework was agreed (box 1) and applied by TQ to all transcribed material. Awareness: Recognition of the need to understand leadership and management in general, its relevance to future work and the levels at which it applies. Timing and structure: When in the undergraduate curriculum should teaching about leadership and management start and how should or could that be structured? Methods of delivery: How should leadership and management teaching be delivered and the advantages and disadvantages of different methods. Assessment: How should the leadership and management learning be assessed and the advantages and disadvantages of different methods of assessment. What should be taught? What topics should be covered in leadership and management teaching in the undergraduate curriculum? Barriers: Factors that may inhibit undergraduate medical students’ interest in and learning about leadership and management. Coded data were scrutinised and emerging themes initially identified by TQ using an inductive semantic approach. These were based on the extent to which the theme captured something important to the overall research questions and the extent to which the theme accurately reflected the entire data set rather than one dimension alone.23 Themes were considered against the transcribed and coded data independently by JB, FC and SH, and following discussion, the final analytic structure agreed. Students participating in the ‘Setting Direction’ discussion were able to comment on the results of their discussion which were presented as a poster. This paper reports generic results, potentially relevant to other medical schools. Opinions and recommendations specific to the Cambridge Medical Course are not presented. 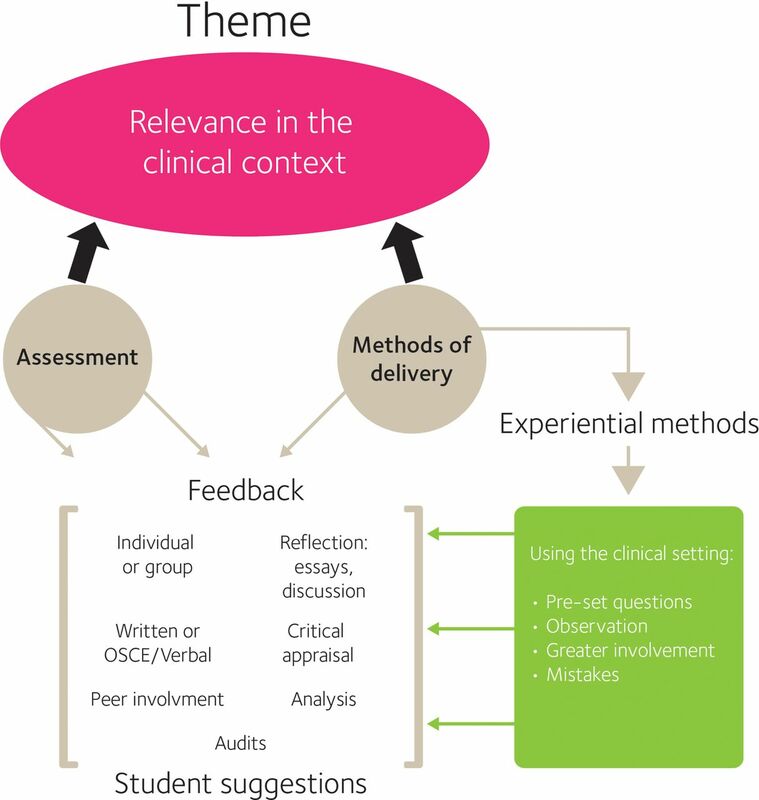 Two strongly inter-related themes were identified: understanding the broad perspective of patients and other stakeholders involved in healthcare provision and the need to make leadership and management education relevant in the clinical context (figure 2). The resulting students’ suggestions and opinions are presented in relation to each theme and in a third section relating to both themes. Relationships between themes and codes. Individuals with whom they would interact. These considerations influenced students’ suggested topics for incorporation into the undergraduate curriculum (figure 3). Perspectives: relationships between codes and student suggestions. Involving the patient in his/her care and clinicians acting as advocates for that care were seen as important, as were patients’ diverse and individual needs. Poor and exemplary doctor/patient relationships and their potential educational impact were reported frequently. Topics relating to the societal perspective included the structure of the National Health Service (NHS), including financial and resource constraints. Some students felt that comparisons with developments in healthcare systems in other countries should be included. Effective communication was seen to improve team working. However, this was not always applied to team work and extending communication-skill teaching to include this was suggested. Greater interaction with manager and learning to involve, accept and value were also seen to foster effective team work. Understanding patients’ experience of their journey through the healthcare system and how they might be enabled to take part in decision-making in respect of that care was considered relevant. Participants appeared unsure of their position as medical students when confronting patient safety issues and the routes for progressing problems. As a result patient safety and whistleblowing were suggested frequently as topics for inclusion. Audit was seen as a specific topic for inclusion in leadership and management education, as well as a method by which organisational aspects could be taught. Relevance in the clinical context: relationships between codes and student suggestions. Reflecting on observations was regarded generally as a continual process but views were divided as to how to incorporate this into leadership and management learning. Some students supported reflective essays. Others felt such exercises often became formulaic, preferring one-to-one or small group discussions. Leadership and management topics could also be taught by analysing and reflecting on actual mistakes at all levels, but concerns were raised about whether the information generated could be handled, particularly if it raised whistleblowing issues. One focus group took place during the publicity surrounding the Francis Report on the failures at Mid Staffs NHS Foundation Trust.3 Students in this group commented on how uninformed they were about systemic failures on this scale. Team-building and coding exercises were reported as beneficial for leadership and management education by those students who had undertaken them. Very few students mentioned ‘role play’ as a useful method. There was little support for didactic teaching methods. A few students argued that some topics could be introduced through lectures, if the material was clinically relevant, drew on practical experience and presented enthusiastically. Others saw lectures as inappropriate. 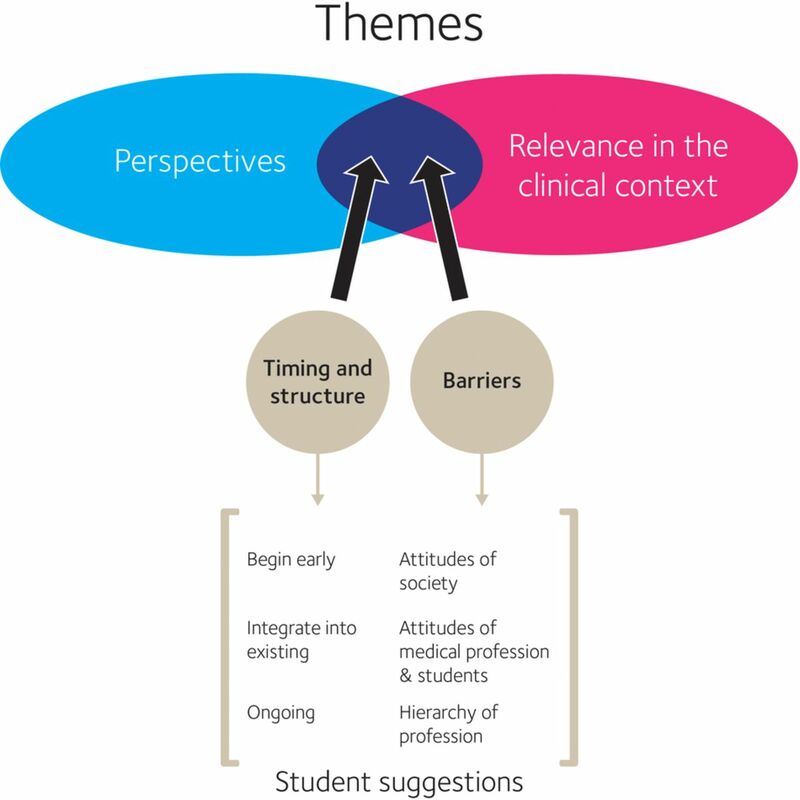 Students’ views about timing and structure and of leadership and management education in the undergraduate curriculum, together with what they considered to be the barriers to such education were shaped by both themes (figure 5). Perspectives and relevance in the clinical context: relationships between codes and student suggestions. When should leadership and management education take place? However, there was support for the notion that developing organisational perspectives to healthcare provision should begin early. It was generally felt that to appreciate fully the importance of leadership and management to patient care, students had to have experienced the clinical context, but opinions were divided as to when to introduce some of the suggested topics, and in particular the issue of whistleblowing. The overriding view was that leadership and management education should be incorporated into the existing curriculum and hence be ongoing. Changing attitudes within society and the medical profession itself were seen as potential barriers necessitating greater leadership and management education. Many viable topics were suggested including: structure of the NHS, facilitators of team working such as conflict resolution, negotiating and communication skills and decision-making. Patient safety was particularly important. In common with other studies, experiential learning was preferred.26 Placements were seen to provide teaching opportunities. Structured observations, reflection on these, critical appraisal and analysis of mistakes at the individual and organisational level were all mentioned. Mindful of the crowded nature of the curriculum students identified opportunities for integrating leadership and management education. Some attitudes held by medical professionals and students and by society as a whole were seen as barriers to leadership and management education in the undergraduate medical curriculum. Changing attitudes is often slow and difficult. Studies in many sectors have highlighted generic obstacles to teaching leadership and management; those specifically applicable to the undergraduate medical curriculum include variability of leadership practices and lack of a consistent and deliberate practice in the field.29 Medical students witness a potentially confusing array of leadership styles and practices and without clear guidance they may be unable to evaluate what they observe. Whereas clinical skills can be practiced through simulation, providing such a practice field for leadership and management skills is more complex. This, together with the crowded nature of the curriculum, means that there are few opportunities for real-time coaching. 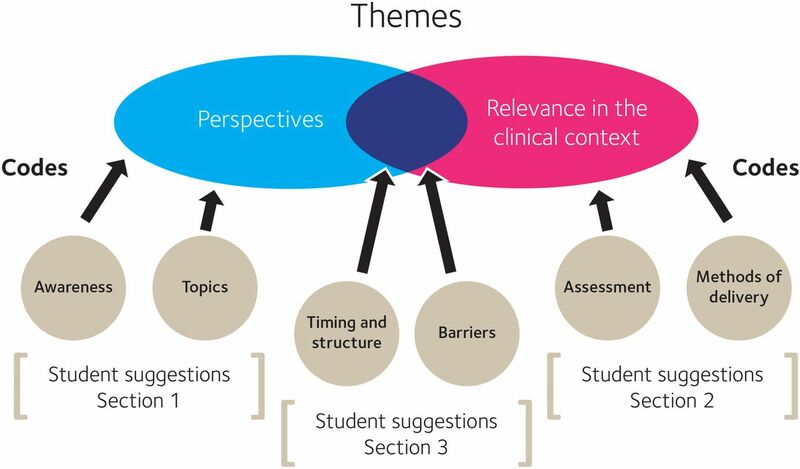 Further work might usefully explore the views of students earlier in their medical studies and the views of students engaged in different types of course design. However, there is a need to develop leadership and management education in some form at the present time. Perhaps, the most pragmatic approach would be to introduce small initial changes and modify them in the light of their evaluation. These findings offer insights into how students view possible developments in leadership and management education. Although necessarily a partial view, it is relevant to the difficult choices that curriculum planners face seeking to strengthen education in this area in the face of an already overcrowded timetable. Perhaps, for them, students’ insights into the opportunities to develop leadership and management learning within existing curricular experiences are most significant.
. Our NHS, our future: NHS next stage review. Interim Report. Department of Health, 2007.
. High quality care for all: NHS next stage review. Final Report. Department of Health, 2008.
. Report of the Mid Staffordshire NHS Foundation Trust Public Inquiry. The Stationary Office, 2013. The King's Fund. Leadership and engagement for improvement in the NHS: together we can: the king's fund leadership review. The King's Fund, 2012.
. Aspiring to excellence: final report of the independent inquiry into modernising medical careers. Medical Schools Council, 2008.
. Physician-leaders and hospital performance: is there an association? Soc Sci Med 2011;73:535–9.
. Is management essential to improving the performance and sustainability of health care systems and organizations? A systematic review and a roadmap for future studies. Value Health 2013;16(1 Suppl):S46–51.
. Size, composition, and culture of high-performing hospital boards. Am J Med Qual 2006;21:224–9.
. Clinicians on the board: what difference does it make? Soc Sci Med 2013;77:147–55.
. Management in healthcare: why good practice really matters. London: McKinsey and Co. and LSE (CEP), 2010.
. An evaluation of staff engagement programmes in four National Health Service Acute Trusts. J Health Organ Manag 2013;27:85–105. The King's Fund. The future of leadership and management in the NHS: no more heroes. London: The King's Fund, 2011. 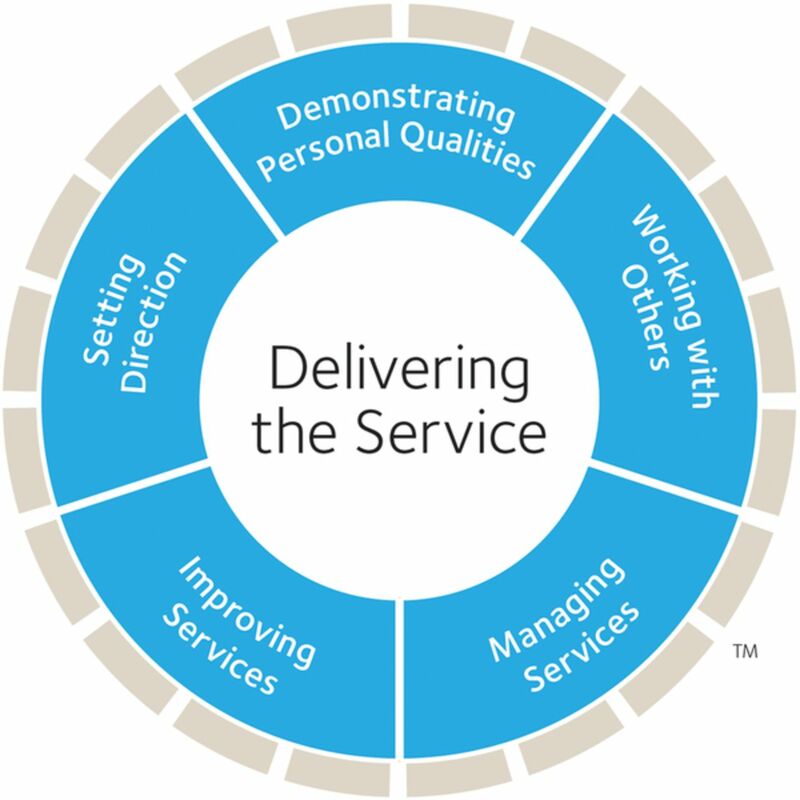 NHS Institute for Innovation and Improvement and Academy of Medical Royal Colleges: Medical Leadership Competency Framework, Enhancing engagement in medical leadership. Second edition. Coventry. 2009. NHS Institute for Innovation and Improvement. The clinical leadership competency framework. Coventry, 2011.
. Engaging all doctors in continuous quality improvement: a structured, supported programme for first-year doctors across a training deanery in England. BMJ Qual Saf 2013;22:613–17.
. Clinical leadership requires system-wide interventions, not just courses. Clin Teach 2012;9:89–93. General Medical Council. Tomorrow's doctors: Outcomes and standards for undergraduate medical education. General Medical Council, 2009.
. Guidance for undergraduate medical education: integrating the medical leadership competency framework. NHS Institute for Innovation and Improvement and the Academy of Medical Royal Colleges, 2010.
. Leadership training in the undergraduate medical curriculum. Educ Prim Care 2008;19:526–9.
. Developing innovative leaders through undergraduate medical education. Educ Prim Care 2013;24:61–4.
. Qualitative research: standards, challenges and guidelines. Lancet 2001;358:483–7.
. Competencies for undergraduate community based education for the health professions: a systematic review. Med Teach 2012;39:733–43.
. What do we do? Practices and learning strategies of medical education leaders. Med Teach 2012;34:312–19.
. The effect of contributing to patient care on medical students’ workplace learning. Med Educ 2013;47:1184–96.
. Formative assessment and self-regulated learning: a model and seven principles of good feedback practice. Stud High Educ 2006;31:199–218.
. Leadership competencies: time to change the tune? Leadership 2006;2:147–63.
. The challenge of educating leadership expertise. J Leadersh Stud 2013;6:84–9. Contributors The study was conceived and designed jointly by MA, TQ, JB and DW. Focus group discussions were conducted by MA, TQ and SM. Data analysis was undertaken by TQ, SM, SH, FC and JB. TQ wrote the first draft of the paper with significant inputs from SH and FC. All authors were involved in refining this into the final draft. Funding The research received no specific grant from any funding agency in the public, commercial or not-for-profit sectors. Ethics approval The study received ethical approval from the University of Cambridge Psychology Ethics Committee (the relevant body for all studies involving University of Cambridge students). Data sharing statement Anonymised coded data from the study available from TQ.